Like music, the art of lettering has a way of bringing people together. Goodtype prides itself on its ability to connect and unify folks from across the globe through the letter arts. When the magic of music is integrated, that connection and creative energy is amplified tenfold. Thanks to @dropbox, we had the pleasure of watching that magic unfold between world class artists and designers, Gemma O’Brien (aka @mrseaves101) and Ricardo Gonzalez (aka @ItsAliving) at Outside Lands Music Festival in San Francisco, CA. 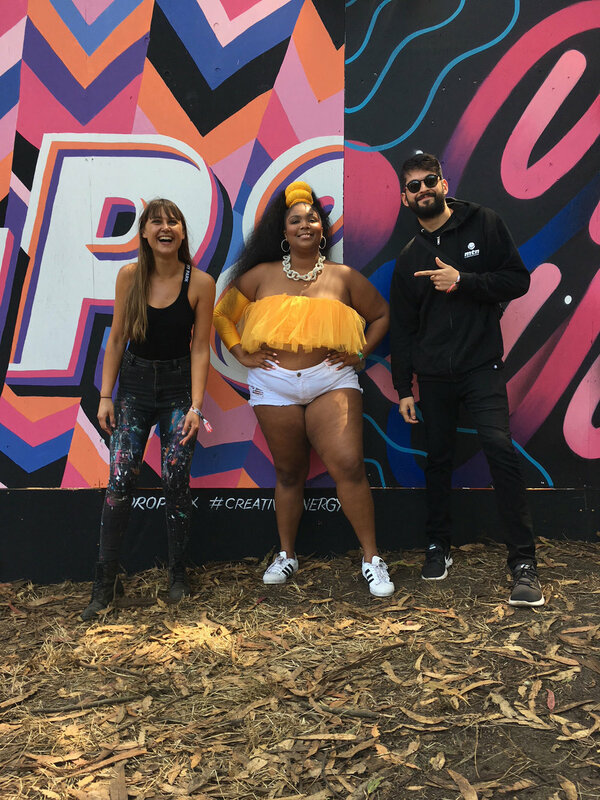 Together, they brought to life the powerful lyric “Boss Up & Change Your Life” by musical performer Lizzo (aka @lizzobeeating). “I think it’s great how the ampersand brings the harmony between the murals,” said Ricardo. Gemma and Ricardo are no strangers to large scale murals, as Gemma has nearly 30 murals under her belt while Ricardo has over 100! But this was their first time ever collaborating with each other. Gemma is an Australian based illustrator, muralist, designer and lettering artist. She has created work for brands like Apple, Adobe, Volcom, and The New York Times. 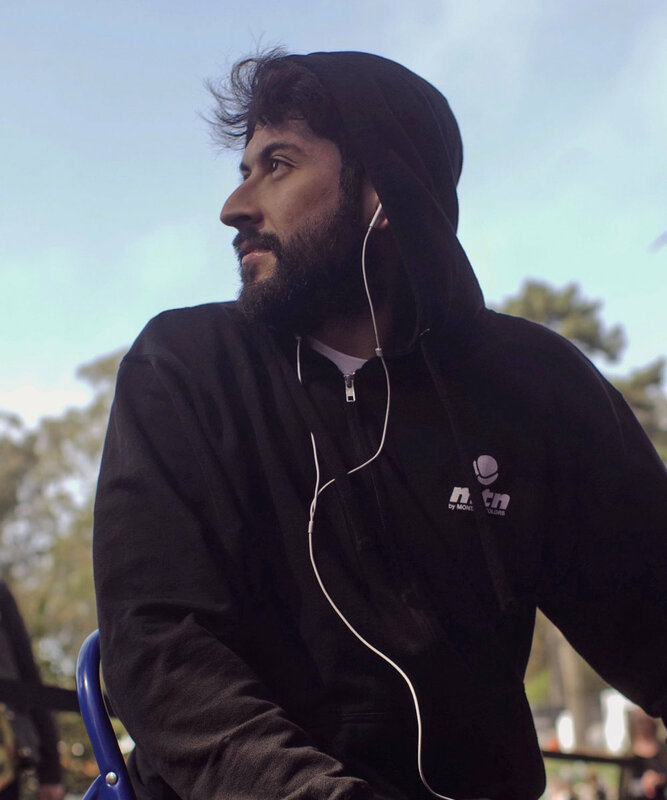 Ricardo is a designer, and artist from Durango México currently living in Brooklyn. 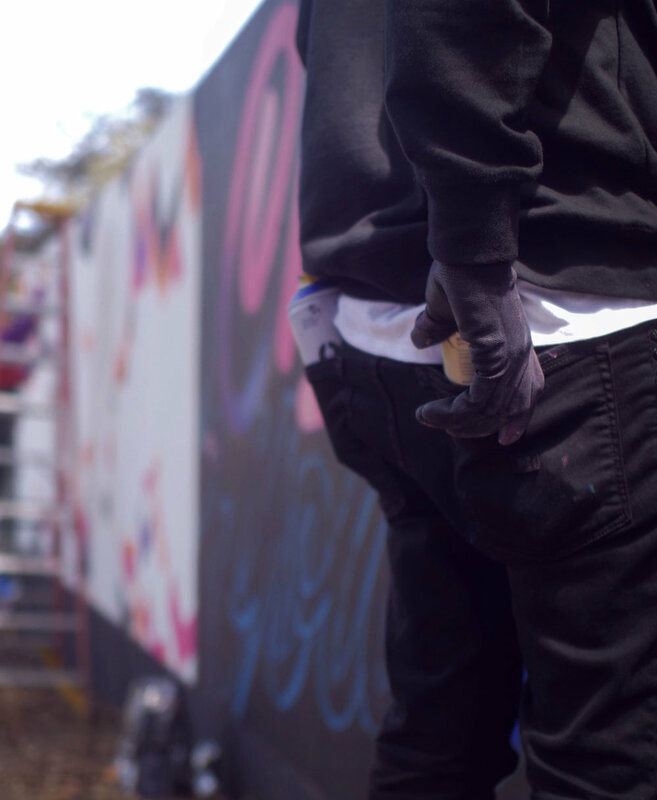 His signature script style can be easily recognized from large scale murals to commercial work for some of the biggest brands to a simple sticker in the streets. His client list includes Apple, Armani Exchange, Nike, Mercedes Benz, Google, Microsoft and Pepsi, to name a few. We asked Gemma (literally on the grass while she was painting) how the process of collaborating compared to the process of a solo project? She told us that she works a lot by herself but she and Ricardo were able to send sketches back and forth between each other pretty easily once they got started. “In collaboration, I feel like it helps when you really respect someone’s work because you trust that both of you kind of have a vision of it being great no matter what and you can bring your own unique voice and style to the project,” Gemma said. Next, we cruise over to Ricardo’s half of the mural for a little face-time. What did you think when you were approached to do this mural? What does Lizzo’s lyric “Boss Up & Change Your Life” mean to you? Ricardo: “I was happy when they showed me the phrase because I agreed to everything not knowing the lyric. So I was super happy when they gave me my part because “Change Your Life” goes really well with what I do “ItsALiving”—it’s about living your life. It’s not just about lettering and design, it’s about being you and doing what you love for a living and for me, “Change Your Life”—it’s been changing for the past 10 years because I’ve been moving so much—it’s been super crazy. 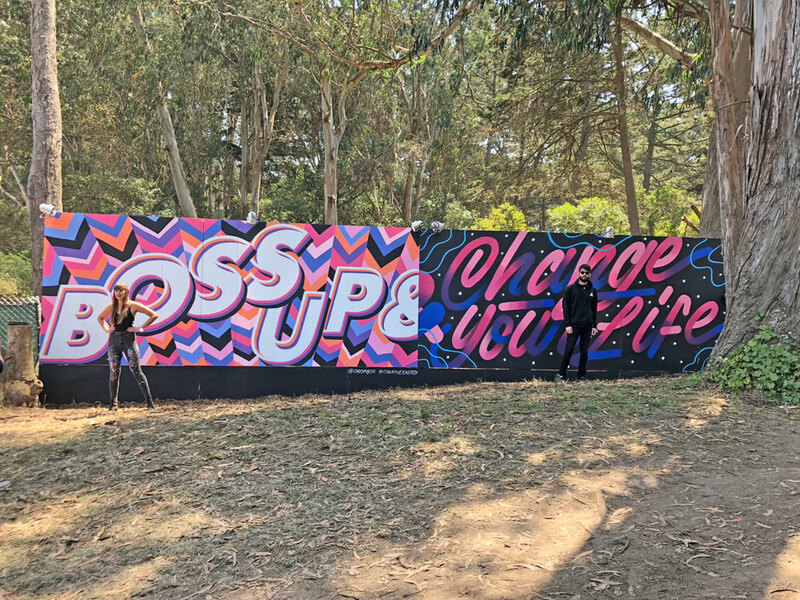 A big thanks to Dropbox and Outside Lands for giving us the opportunity of bringing this unique collaboration to our community and empowering artists to unleash their creative energy.